who was honored with the Robert J. Handy Most Effective Administrator Award, last night in Spokane. The Robert J. 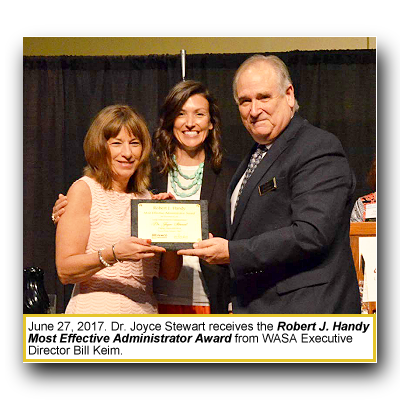 Handy Most Effective Administrator Awards, sponsored by PEMCO Insurance and WASA, seek to recognize outstanding public-school administrators in Washington state. One highly effective superintendent, central office administrator, or building administrator is selected from a small school district (up to 500 students), medium-size school district (501–2,000 students), and large school district (over 2,000 students). A $10,000 award is equally divided among the three winners. A peer committee selects the recipients from nominations that describe how each nominee is taking part in realizing the nine characteristics of high performing schools/districts as defined by research from the Office of Superintendent of Public Instruction. Dr. Joyce is donating her award to the Everett Music 4 Life Booster Club, whose mission is to provide musical instruments to students who may not be able to afford one. Deputy Superintendent, since 2016. 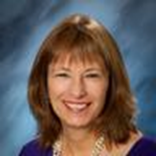 Dr. Stewart is responsible for supervising Everett School District schools, leading teacher and principal professional development, on-time graduation, and college and career readiness. 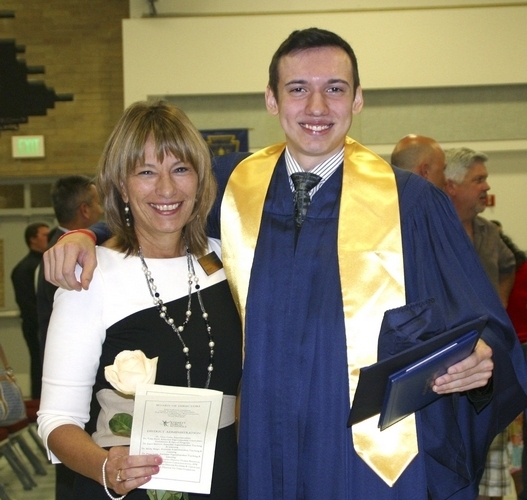 Joyce taught 19 years in private and public schools in Montana, Minnesota, and Washington; She served as Madison Elementary principal for three years, and Evergreen Middle School principal for nine years.